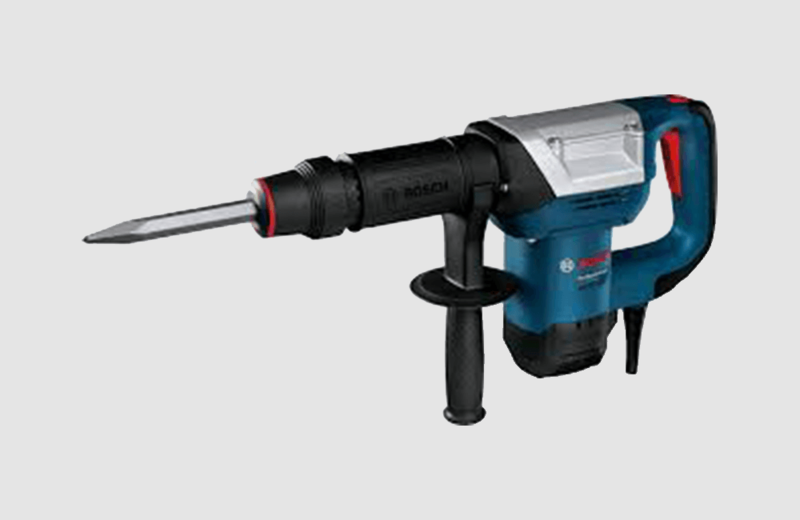 Demolition Hammer is a 13.0-AMP tool that gets the job done, delivering 6.1 ft.-lbs. of impact energy and a max of 2,900 BPM. Yet it weighs only 13.7 lbs. for outstanding power-to-weight performance, and it has Vibration Control™ for all-day comfort. This hammer provides Constant Response™ circuitry for constant power under load, as well as smooth starts and overload protection. Positioning permits rotating and locking the chisel with precision, while the Auto-Max™ variable-speed dial permits the operator to match power to application – from 1,300 BPM to 2,900 BPM. The SDS-max® chuck system provides tool-free bit changes, while the Service Minder™ light indicates that maintenance is needed. And the demo hammer has a 360° rotating auxiliary handle and a padded rear handle for extra operator comfort.